After five seasons of sponsorship by John Bell Pipeline Colony Park Juniors have announced a new sponsor for season 2016/17. President Trevor Hart said: “John Bell Pipeline have sponsored the Juniors , the Colony Juveniles and Locos and we are very thankful of their input since the foundation of our club just five seasons ago. “They have helped Inverurie football enormously but all good things come to and end however we are delighted to announce that our new shirt sponsor is another well known local company I&K Motors . “Steve Innes has been tremendously supportive of the club from the word go and currently sponsors a minibus for local clubs to share but has taken a step further with this new deal. “We hope we can have a long and successful association with this popular local company”. The Juniors take on the Superleague challenge with pretty much the same squad as last season and on Saturday at 2pm meet top Tayside Junior outfit Coupar Angus in the last of their pre-season matches. 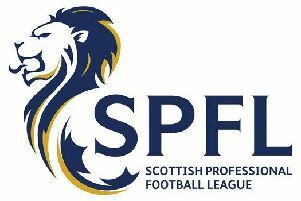 With two matches against HFL opposition , a draw at Huntly and defeat at Lossiemouth the Colony side put five goals past local amateur side Echt on Saturday. On Sunday Colony will host the Jim McPherson Trophy match between Banks O Dee and Islavale with all proceeds going to charity. Players Peter Douglas, Kevin Bonarius and keeper John Farquhar are pictured showing off the new kit alongside Manager Andy Roddie and Steve Innes. For more information on Colony Park Juniors, fixtures and new please visit the club’s website www.colonypark.org.uk.